The Old Pro Golf location at 23rd Street opened in 1965. 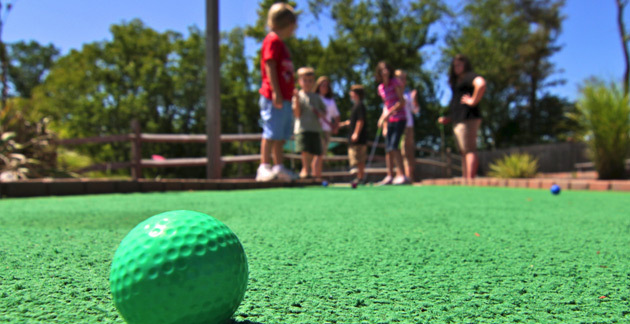 Featuring a 18-hole outdoor course highlighted by creatively designed "Temple of the Dragon" obstacles like waterfalls, flying dragons and temples reminiscent of Indiana Jones, this classic Ocean City attraction is fun for the whole family. $8.50 per person for one game. $12.50 per person for unlimited play. $1 off for seniors (65+) and kids (4-6). Kids 3 and under play free. Open daily, 9am-11:30pm from May-September. Open weekends only in winter, weather permitting. The 23rd street location offers two different courses. Yes, they offer snacks like ice cream bars and vending machines with additional choices. Why Stay at Quality Inn Boardwalk?